Tan pronto como recibimos nuestras muestras de Von Eusersdorff, cada una de nosotras –Virginia en California, Caro en Buenos Aires– buscamos primero el mismo perfume: Classic Patchouli. Aunque no somos adoratrices del patchouli, sabíamos que Classic Patchouli es la fragancia insignia de la marca y queríamos comprobar si estaba a la altura del runrún. El patchouli (pogostemon patchouli) se popularizó en Europa a comienzos del siglo XIX ya que se usaba para perfumar los chales indios que estaban tan de moda en ese entonces. Las hojas de patchouli mantenían alejadas a las polillas y prestaban su aroma a los chales mientras éstos viajaban de India a Europa. El aceite esencial de patchouli es uno de los pocos que mejora con el paso del tiempo; su olor característico es dulce, terroso, almizclado y mohoso. Las dos pudimos percibir los efluvios de Classic Patchouli al abrir la caja, mientras la botellita estaba aún cerrada. Este es un patchouli que invita a inhalar profundamente, una y otra vez. Su belleza es clásica y depurada y el efecto general, narcótico y adictivo. En la salida, la bergamota parece explotar mientras prepara el camino para la nota de patchouli; por un breve instante una sutil nube alcanforada evoca la espesura de viejos bosques. Luego, una textura crocante, como hojas secas hechas de chocolate amargo, emerge de la tonka, deliciosamente cumarínica (que también brinda su hermosa cualidad atalcada), realzando la aspereza del patchouli. Durante unos minutos, la terrosidad y el bosque están por todas partes; son la antecámara de la magia cremosa del sándalo. La sensación general es tersa, avainillada, de textura casi mantecosa. La vainilla nunca sofoca y el sándalo parece actuar como un puente, suavizando la transición de patchouli a vanilla. El resultado es muy voluptuoso y un poco exótico. Caro dice que sólo quiere hablar en Italiano cuando usa Classic Patchouli ya que ningún otro idioma es lo suficientemente sensual para hacerle justicia. Nos encanta Classic Patchouli en nosotras, pero creemos que en un hombre -¡oh,sí!- sería el equilibrio perfecto entre león rugiente y gatito que ronronea. 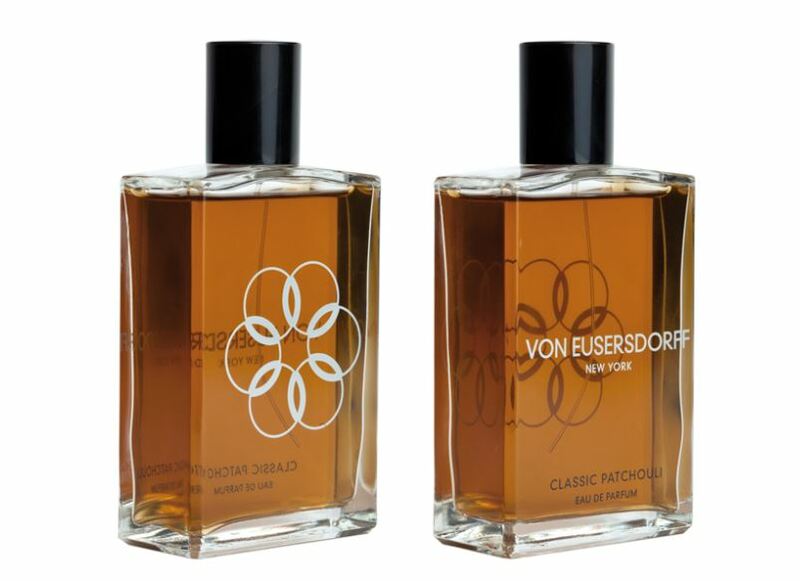 As soon as we received our Von Eusersdorff samples, each of us –Virginia in California, Caro in Buenos Aires– reached for the same fragrance first: Classic Patchouli. Although we are not patchouli worshippers, we knew Classic Patchouli was the brand’s flagship fragrance and we wanted to verify whether it would live up to the hype. Patchouli (pogostemon patchouli) became popular in Europe at the beginning of the XIX century since it was used to scent the Indian shawls which were in vogue at the time. The patchouli leaves would keep moths at bay and lend their aroma to the shawls while they were transported from India to Europe. Patchouli essential oil is one of the few that improves with age; its characteristic smell is sweet, earthy, musky and musty . Both of us were able to sniff the emanations of Classic Patchouli as we opened the box, while the tiny bottle was still closed. This is a patchouli that makes one want to inhale deeply, once and again and again. Its beauty is classic and streamlined and the overall effect, narcotic and addictive. In the opening bergamot seems to explode as it paves the way for the patchouli note; for a brief moment, a subtle camphorous cloud evokes ancient woods and forests. Then, a crispy texture like dried leaves made of dark chocolate emerges from the deliciously coumarinic tonka (which also lends its beautiful powderiness), highlighting the roughness of patchouli. For a few minutes, earthiness and woods are everywhere; they are the antechamber of the creamy magic of sandalwood. The overall feel is sleek, vanillic, almost buttery in texture. The vanilla never overpowers and sandalwood seems to act like a bridge, smoothing out the transition from patchouli to vanilla. The result is very voluptuous and just a bit exotic. Caro says she only wants to speak in Italian when she wears Classic Patchouli as no other language would be sensual enough to do it justice. We love Classic Patchouli on ourselves, but we think on a man -¡oh, yes!- it would be the perfect balance between roaring lion and purring kitten. This entry was posted in Archivo - Archives, Perfumes, Reseñas - Reviews and tagged bergamota - bergamot, Camille Henfling, patchouli, sándalo - sandalwood, tonka, vainilla - vanilla, Von Eusersdorff. Bookmark the permalink. I lust to try this. Truly lust! You know how I feel about this sort of patchouli note. Now that true Mysore sandalwood is essentially a rarity in perfumery, patchouli (brown, original, spicy, smoky patchouli) may be my absolute favorite note. I tried Von Eusersdorff’s version in Jovoy, but there was so, sooooooooo much going on at the time, I couldn’t really experience it properly. One day, I hope to get a sample. Your review just made my lemming into the biggest, fattest whale! I kept thinking about you as I tried this. I thought “Kafka will love this”. I think you should definitely sample it. I can be mistaken, of course, like it happened with Puredistance Black but this is no “purple patchouli”. It is very decently priced for a niche fragrance too. I would love to read your thoughts on this one. This is the best patchouli I have ever tried or, at least, my favorite. I would love my husband to try it and, even more, wear it. I’ve worn it this past week, even on days of ridiculous heat (36 degrees) and it always feels right. It deserves its cult status. I was thinking of you while I sampled it. This fragrance has some similarities with Les Nereides Patchouli Antique, which mentioned some time ago on your blog. I’m looking forward to smelling them wrist to wrist but I already know that I love both. I keep trying to tell Kafka that this will be love at first sniff, maybe your review will help with the ordering of a sample! We have been wearing Classic Patchouli a lot over the last days too. 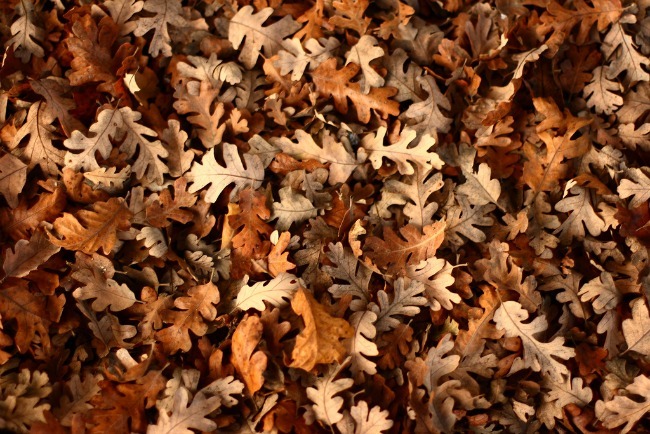 It’s leaves, without a doubt, a luxurious sensation. Have a nice patchouli day! Thank you very much, Susie! Classic Patchouli is a gem, isn’t it? I have even been wearing in this awful Summer weather. I need to spend some more time with Classic Orange, though my initial impression was pleasant. It is much more complex that it initially appears to be. I, too, have the impression that Kafka will enjoy it very much. Classic Orange is a very true portrait of a bitter sweet blood orange and I really love it! It has a very cool, almost smoky darkness woven through that stops it from being too sticky or syrupy. I’d say you have to love orange to love it! I will wear Classic Orange to yoga class later and see how it behaves on me. I keep my eternal quest for a hot weather scent that is not too fresh or too clean and I’m sure this could be it. Hedonist is pretty pretty pretty! It doesn’t sound like my cup of tea really, but because I totally don’t know the brand I feel that Classic Orange might be nice for me. We would love to read your thoughts if you try them, Lucas.